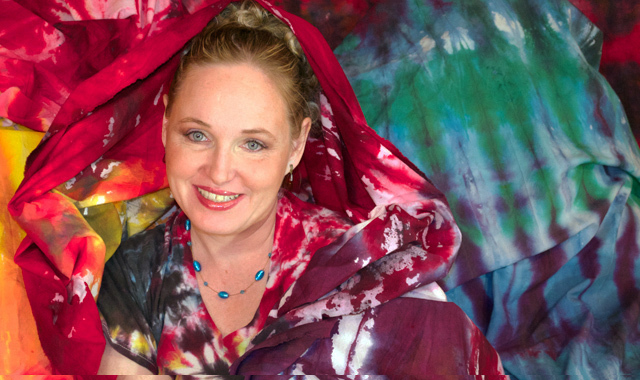 Last month at Utah Valley University artist Inez Harwood broke the Guiness World Record for the longest tie-dye. That, she says, was the fun part. The work leading up to 3000 feet of vibrant color was full of its own set of complications — and also wonderful moments of insight. Watch the video interview in the April 2013 edition of 15 Bytes. I didn’t anticipate being so utterly absorbed by a tie-dye project. This was riveting — a charming narrator, fascinating details on a very unusual process which involved highly unexpected difficulties and a catchy reggae tune in the background. A top-notch video.